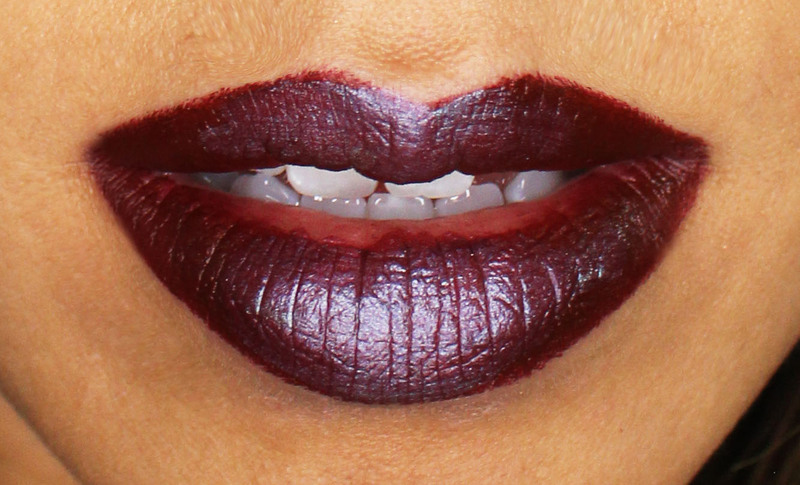 It's officially Fall and the season for vampy lips! 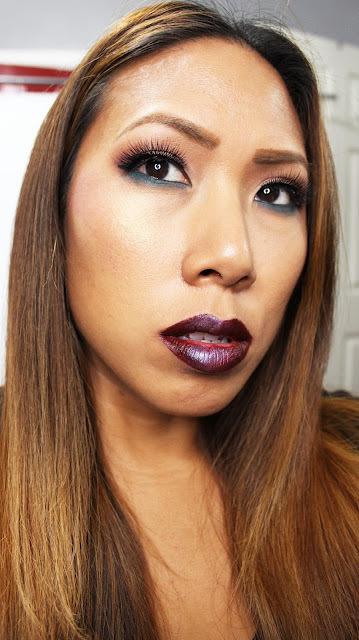 I came up with a really cool makeup combo that combines an unusual but lovely combo - burgundy and green. I used some new products that I've featured lately in my reviews. Check it out! 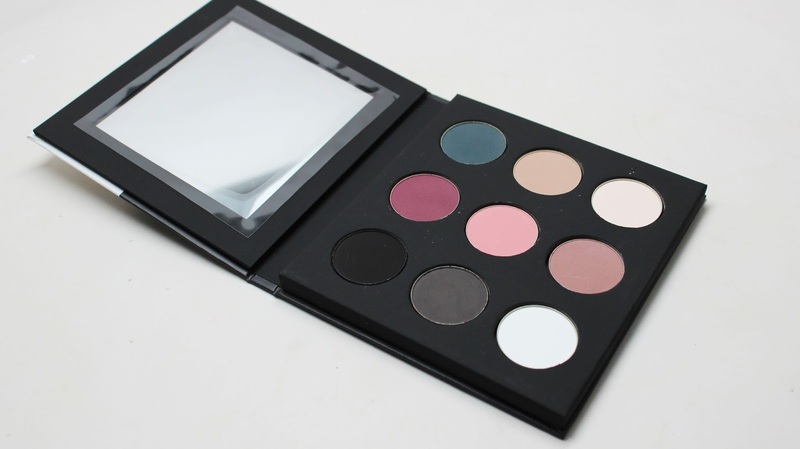 On my eyes I used the new MAKE UP FOR EVER Must Have Mattes Palette. On the lid I used the pink and maroon shadows (top and center of middle row) and on the bottom I used the gorgeous green shadow (far right, top row). I'm used to popping a pop of color in my lower lashline such as an aqua or purple but this is my first time using this bottle green shade. First, I lined my lashline in MAKE UP FOR EVER Aqua XL liner in S-20. Then I smudged it out with the coordinating matte eyeshadow from the palette. Now onto the lips! I knew that the Ofra Emerald City Liquid Lipstick would look amazing over a deep burgundy base as it reflects gold, green and maroon. I paired it on top of MAKE UP FOR EVER Artist Rouge lipstick in M-405, a gorgeous deep burgundy shade. I love this lipstick because the tube shape is so precise that you don't even need a liner. I think this is my new favorite lip for the fall. What do you guys think? 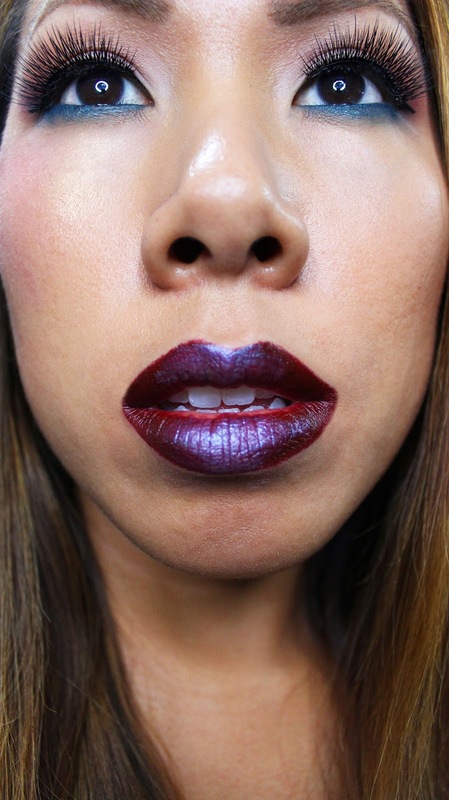 Would you rock this lippy? Let me know in the comments below!